It’s hard to imagine having as many deep thoughts as Yuval Noah Harari. His 2015 book, Sapiens, examined the human race through the vectors of history and biology, illuminating how each has influenced our behavior and evolution. Two years later, Homo Deus took us in the opposite direction, predicting the profound changes we will undergo as technology becomes increasingly intertwined in our lives and bodies. Just a year-and-a-half later, Harari turns his attention to more immediate concerns. 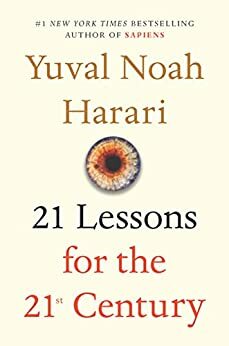 Using the same tack-sharp lens as his previous books, 21 Lessons for the 21st Century addresses urgent, shape-shifting topics that will impact our present and near future, including nationalism, religion, immigration, artificial intelligence, and even the nature of Truth—in other words, everything you're not supposed to talk about at Thanksgiving. Harari not always reassuring, and he's certainly unafraid of questions challenging widely held views on both global and personal scales, i.e. yours. His quest is not to tear holes in belief systems, but to expand conversations and strip the -isms that channel us into predictably intractable stand-offs. 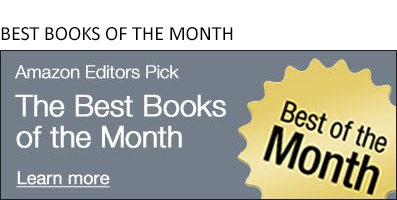 Calling any book "urgent" or "a must-read" is almost always hyperbolic, even shrill. But especially now, 21 Lessons fits the bill. For a taste of how Harari thinks, here are brief descriptions for five of his 21 lessons. 1. Humans are hackable animals. Given enough data and enough computing power, governments and corporations can know you better than you know yourself. They can then sell you anything they want – be it a product or a politician. So don’t listen to yourself and don’t follow your heart – your heart might be a double agent. 2. Change is the only constant. Nobody knows how the world will look in 2050, except that it will be very different from today. Hence the most important skill to teach kids is mental balance. They will have to reinvent themselves repeatedly, without losing their mind in the process. 3. Suffering is the best test for reality. If you hear a story, and you want to know whether the hero of the story is a real entity or a mere fiction, you should ask “can it suffer?” Nations and corporations cannot suffer. They have no mind, and they feel nothing. They are powerful fictions invented by humans. 4. Global problems need global answers. 5. Never underestimate human stupidity. Humankind can solve all its problems, provided it acts wisely. Unfortunately, whereas it takes the cooperation of many wise people to gain success, a few fools are sometimes enough to create disaster.